Blockchain in Gambling And Betting: Are There Real Advantages? Online gambling is one of the fastest-growing markets on the planet – especially now that an ever-larger percentage of the world’s population has mobile Internet access. At the same time, this industry is extremely divisive. Its defenders state that legal gambling – a largely cross-border activity – promotes international trade and brings in tax revenue. They also contend that taking risks and betting is in human nature, and people should be free to spend their money however they wish. On the other hand, opponents of gambling cite the issue of addiction and high levels of fraud in the business. Be that as it may, gambling is bound to keep growing fast; in fact, in the past seven years, the market has been expanding at a compound annual rate of 9% – three times higher than that of the global GDP. "It’s no surprise that many blockchain entrepreneurs are eager to enter the gambling market, aiming to “disrupt” it – to use a popular crypto buzzword – thanks to distributed ledger technology". Are there real advantages to using blockchain in the gambling market, though? Even though at times transparency and immutability of records are unnecessary, all blockchain projects offer these to disrupt and revolutionize their markets. Gambling might, therefore, have a good use for Blockchain. Poutintsev admits that the advantages of blockchain are often blown out of proportion, and it will take many years before areas like HR or commodity trading are truly transformed by this technology. However, online gambling is different, not least because it has a very clear range of issues that must be resolved to give the industry a better reputation. "Blockchain can actually solve these issues quite easily", Poutintsev says. Many perceive online gambling and betting as inherently unfair. Indeed, casinos earn revenue because players lose more often than they win and many studies have shown that users do not trust online casinos seeing them as a black box that takes your money. Many users even believe that these sites have a special switch that turns the odds in their favor. High fees, both commissions charged by the payment system and the house-cut rates, are a further disadvantage. Casinos are reluctant to part with money – even if you won fair and square. Cases, where people wait many days or even weeks to receive their pay-out, are common, and sometimes winners are blocked from using the site again if they win big. Lucky people are perceived as a business risk. Finally, just making a deposit to play can be difficult, because banks do not like gambling institutions. There are many stories about people who have had their bank accounts closed after making a deposit to an online casino. "This will not change, blockchain will not magically transform gambling into a wonderland where players win most of the time", says Poutintsev. But there are clear reasons why Blockchain can be seen to solve these problems. "Blockchain will store records of all games and bets, their results, and the amounts that were won and paid out. Players can always access the transaction history to confirm that the system paid out all that was due and that the odds were not rigged". So, Blockchain is the solution to the trust issue – one of the key issues in online gambling. ‘You often hear that blockchain helps build trust among participants – and at the same time, you hear that blockchain systems are trustless. It’s not a contradiction: Both statements apply to blockchain gambling in different ways. In the beginning, we will still have casinos and actual companies that run platforms such as Bitbook.ag – and distributed ledgers will allow players to verify that the casino plays fair. Later, we will transfer to more decentralized betting and gambling systems, with not-for-profit structures at the center exercising a regulatory and protective role, which will indeed be trustless’. Bitbook.ag is set to soon develop such a system. Poutintev points out that further advantages of blockchain are low fees as well as easy cross-border payments. "Being independent of banks will bring many more users across the world into the fold of legal gambling, as they currently have to use shady services because they cannot pay with their credit card. Of course, the same legal principles apply to blockchain casinos like Bitbook.ag as to traditional sites – if gambling is illegal where you live, you should not break the law". As for the pertinence of Bitbook.ag as yet another game-related blockchain project, Poutintsev is convinced that while there are dozens of gambling-related blockchain projects, Bitbook.ag stands at an advantage. "We began more than two years ago. We bootstrapped the development first and then raised funds from private investors. This allowed us to avoid the “rush to a token sale”, a common curse for most blockchain projects, which enter the market with little more than an idea. Instead, we gathered a great team, especially strong on development. We are proud of what we’ve achieved in these two years: In September 2018, we launched a functional beta version of the platform with more than 200 casino games – slots, poker, blackjack, roulette, etc. – and a large sports-betting module. We already have a loyal customer following and a real cash flow, and we’ve established partnerships with several companies in the business, including game developers and DonBest, a provider of sports-event odds. So yes, I believe there is definitely space for Bitbook.ag in this market, since we are among the few who have a working product". The crucial next step in the development of Bitbook.ag is developing a peer-to-peer betting system. "As long as casinos dictate which games you can play and which sports you can bet on, the system remains fully centralized. Users should be able to add their own events and games. They do not necessarily have to be sports events – any type of event can be an object of betting. This is a rapidly developing field, particularly in terms of oracles, which provide odds. We envision Bitbook.ag as a space where members can bet on events added by others and play casino games against each other". Hence, Bitbook.ag is launching a token sale to finance the creation of the P2P betting platform. As it is necessary, for ethical and legal reasons, to ensure compliance if gambling sites become decentralized, Bitbook.ag consider this as a very sensitive question and prioritize the security and protection of their players. 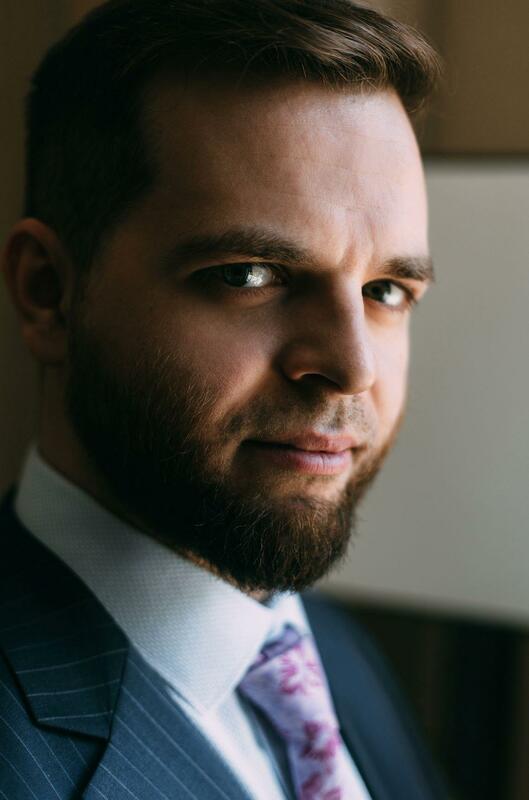 Bitbook.ag CEO, Andres Martinez, is an expert on international compliance and corporate law, both in gambling and in the cryptocurrency business. "We understand that there are many concerns: the prevention of money laundering, blocking users from participating if gambling is illegal in their country, fighting gaming addiction, preventing minors from gambling, and so on" continues Poutintsev. "And then there’s the question of licensing, taxation, and regulations in individual countries. Total decentralization is very difficult to achieve in practice due to the legislation mentioned above because we as a legal entity are obligated to obey local and international laws. The only way to get around this is either to become completely decentralized, open source, and peer-to-peer, like Bitcoin, so that no single entity would own or be in charge of the platform and thus no one would be liable or could be prosecuted, or to go underground and become lawless, like Silkroad, for example". As the company intends to comply with laws and regulations, neither of these options are valid. ‘Instead, blockchain can and should be used to make gambling fair, lower costs, and prevent fraud – and that’s what we at Bitbook.ag plan to do’ Poutintsev concludes.